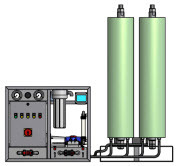 Up to 30% from seawater-energy costs average only 10kWh/rn³ of pure water. 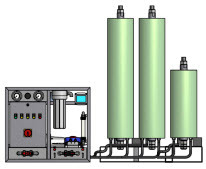 Up to 75% from brackish water (TDS= 5000 ppm) - average 4 kWh/rn³ of pure water. Up to 85% from city water (TDS=800 ppm) - average 2kWh/rn³ of pure water. Useful membrane life of 5 years or more has proved to be a realistic figure. The truly modular design and construction of all standard Rochem RO units simplifies transportation and installation and enables flexible use of limited floor space.